The Philippines ranks 12th among the most populous countries in the world, the population of this country is about 90 million people. The flag of the Philippines – the only flag in the world, where colors can be reversed: in wartime, the upper band is red, the bottom – of the blue, and in times of peace – on the contrary. The highest point in the Philippines – Mount Apo, located on the Mindanao island, it reaches a height of 2,954 meters. About 80% of the total population are Catholics. The climate in the Philippines is tropical and monsoonal. The country has an average yearly temperature of 26.5°C (79.7°F); May is the warmest month, while January is the coolest. The monsoon rains, called habagat, hit from May to October, bringing torrential rain which is abetted by frequent typhoons. An average of 6 or 7 typhoons per year strike the Philippines. Filipinos have a different ethnic background, such as Malay, Chinese, Spanish, American, etc. The country got its name in honor of the Spanish King Philip II. The capital city of the Philippines Manila is named in honor of a mangrove tree with white flowers (nilad). In the period from 1521 to 1898 years, the Philippines was a Spanish colony. After, the archipelago became the property of the United States. The Philippines was the first country in South-East Asia, which gained independence after the Second World War, in 1946. The Philippine area covers about 300,000 square kilometers, which corresponds approximately to the area of ​​Italy. The safe in the geological sense Philippine called “Palawan”. It is the most distant from the volcanoes and earthquake areas. The Philippines is made up of 7,107 islands, totaling about 300,000 sq. km. (117,187 sq. mi.) It borders on the South China Sea to the west, the Philippine Sea to the east, and the Celebes Sea to the south. The most popular month for weddings in the Philippines – is December (until early January), and not June. The first representatives of the Philippines who have reached the top of the hit parade “Top 100 songs of the “Billboard” was the band “Rocky Fellers of Manila”. There are only two seasons – a warm wet season and cool dry season in the Philippines. The dry season lasts from October to June, and wet – for the remainder of the year. From 1965 to 1986, Ferdinand Marcos ran the country as a fiefdom. He was forced out in favor of Corazon Aquino, the widow of Ninoy Aquino, in 1986. In the course of the history of the Philippines had early contact with China, some of the Arab countries and Cambodia, but the archipelago was not known to the Western world until the 17th March 1521, when Magellan arrived to the Samar island. 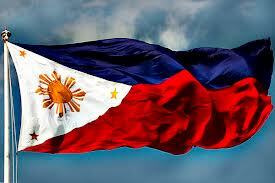 Since then the Philippines was a colony of many countries such as: Spain, Portugal, the United States and Japan. Philippine University of San Carlos in Cebu City, founded by the Spanish in 1595, is superior in age from Harvard University and is the oldest university in Asia. The second-oldest institution of higher education is Asia the University of Santo Tomas in Manila, founded in 1611. Filipino doctor Abelardo Aguilar discovered the antibiotic “erythromycin“. A video camera with a single chip was first created by Marc Loinaz – a Filipino inventor from New Jersey. The first International Grandmaster from Asia was Eugenio Torre, who won the Chess Olympiad, held in 1974 in Nice (France). The fluorescent lamp was invented by Agapito Flores Filipino scientists from the island of Cebu. Two Filipino beauty, Gloria Diaz and Margie Morgan received the title of Miss Universe beauty pageants in 1969 and 1973. There are the world’s deepest ocean trenches, at the bottom of the Pacific Ocean. Mindanao Trench, which is near the Philippines, reaches a depth of six and a half miles. A bicameral legislature made up of an upper house, the Senate, and a lower house, the House of Representatives, makes laws. Senators serve for six years, representatives for three. The highest court is the Supreme Court, made up of a Chief Justice and fourteen associates. The current president of the Philippines is Benigno "Noy-noy" Aquino. Due to early colonization by the Spanish, the Philippines is a majority Roman Catholic nation, with 80.9% of the population self-defining as Catholic. Other religions represented include Islam (5%), Evangelical Christian (2.8%), Iglesia ni Kristo (2.3%), Aglipayan (2%), and other Christian denominations (4.5%). Approximately 1% of Filipinos are Hindu. The Muslim population live mostly in the southern provinces of Mindanao, Palawan and the Sulu Archipelago, sometimes called the Moro region. They are predominantly Shafi'i, a sect of Sunni Islam. The original inhabitants, the Negrito, now number only about 30,000. The majority of Filipinos are from various Malayo-Polynesian groups, including the Tagalog (28%), Cebuano (13%), Ilocano (9%), Hiligaynon Ilonggo (7.5%) and others. Philippines are considered the “text capital of the world.” Every day, 35 million mobile subscribers in the country are sending about 450 million short text messages (SMS). This is more than the total number of daily text messages sent in the United States and Europe together. Despite the fact that the land area of ​​the Philippines is about 1/30th of the U.S. Area, the coastline of the Philippines extends for 36,289 kilometers, while in the U.S. – Only 19,924 kilometers. The most rare and expensive shell in the world «Conus Gloriamaris» – one of the 12,000 species of seashells found in the Philippines. In addition, of the 500 known coral species in the world, about 488 have been found on the archipelago of . Tribes Tianjin and Integ, living in the mountainous areas of the northern Philippines, kissing each other in a special way. They advance lips together and quickly inhaled. Traditional ancient Philippine toy “yo-yo” used as a weapon at first. Aurora – the only Philippine province, named in honor of the first lady. The first European who visit the Philippines is a Portuguese explorer Ferdinand Magellan.